The Virginia Room Digital Collection includes photographs, oral histories, books, pamphlets and finding aids to items in the Virginia Room Collection. Continue to check back for new additions. 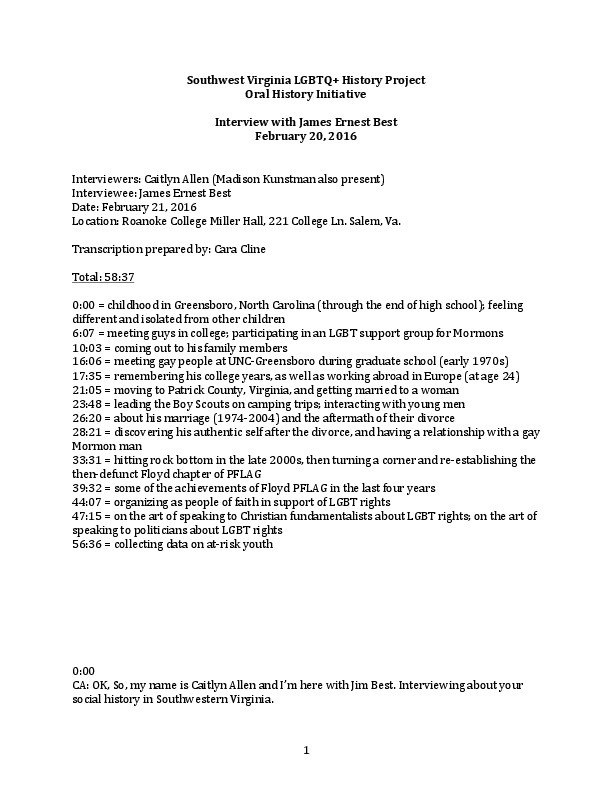 Southwest Virginia LGBTQ+ History Project, “Oral History Interview with James Best,” Virginia Room Digital Collection, accessed April 24, 2019, http://www.virginiaroom.org/digital/document/BestJim.